Are you interested in buying a car dealership? Take a look at these five questions you should ask prior to the purchase. Are you interested in buying a car dealership? The U.S. retail automobile industry is currently earning $131 billion in revenues with forecasted growth in upcoming years. With these promising statistics, it’s a profitable time to enter the market. And, there are multiple ways you can buy in, including purchasing either an independently owned dealership or a franchise. Despite the avenue you take, you should only make an offer after “looking under the hood” of the business you’re considering. 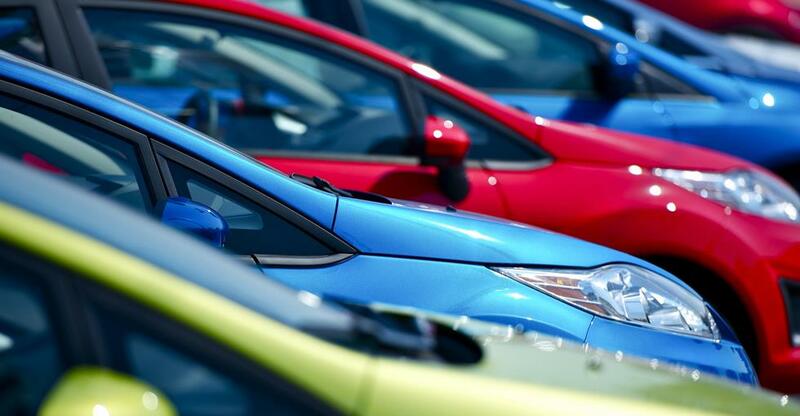 Here are some questions you should ask when shopping for a car dealership. This information will help you avoid falling victim to the stereotypical lemons and shady used car salesmen that plague the industry. Like any business venture, you have to review the financial statements to discover where they are making money. The modern-day dealership is typically a multi-service business. Therefore, it is crucial to understand the overall business model and which areas are the key drivers of revenue and profit. It could be very valuable to opt for a business that has an established service and parts department since they are considered very profitable. Recent research suggests that dealerships that don’t provide a servicing department lose up to 78 percent of customer service revenue for cars three to six years old, and as much as 92 percent for vehicles over seven years old. Plus, these added services help build a strong loyalty with customers by offering them a one-stop-shop for all their automotive needs. Where will you be getting your supply? Familiarize yourself with how the business is getting their supply of cars. Depending if you are a franchise or an independent dealer, you could acquire your inventory differently. Typically, franchises obtain their vehicles through manufacturers, commonly through closed auctions. Independently owned car dealerships, on the other hand, receive their stock through open auctions and trade-ins. You want to ensure the establishment has a healthy flow of inventory. Furthermore, you should ask about the inventory turnover rate. This number will help you plan your replenishing needs for the long-run. Also, take a look at the size of the lot to assess how many vehicles fit in at a time. Together, this data will come in handy when calculating potential sales and growth rate. Who are the current employees? Meet the current employees of the business because they are indeed part of the package deal. By examining their selling tactics and behavioral traits, you can get a good sense of the company culture. These observations will then help you establish if you need to hire additional personnel or if you should invest in employee training. By interacting with the employees, you can also gain powerful insight into the nuts and bolts of the company. They are on the front lines as well as behind the scenes. They can be an excellent source for sharing the strengths and weaknesses of the business that can't be found on paper. How is the dealership financing plan impacting the bottom line? An additional aspect of car dealerships is dealer financing. This service provides customers with further lending options besides their local bank. These funding options play a significant role in the day-to-day operations of a car dealership for your customers and employees. Plus it allows you to assess the level of risk and rewards the company is presently taking on. First, uncover their portfolio of financial partners. Typically, a dealership will opt for a range of different lenders to cater to both prime and subprime borrowers. Next, ask about what interest rates the lenders are offering and compare that to the markup the dealer is offering. This markup is a key source of income, so it’s crucial to understand the reasoning behind the current status quo. Are the legal requirements being followed? Last but not least, ensure that the business has all their legal affairs in order. Each state, county, and city has a list of laws and regulations. Do some preliminary research on what is required of a dealership in that location so you can verify that everything checks out. According to the DMV, there are many consumer protection laws concerning lemons (vehicles that undergo catastrophic failure soon after being sold), misleading advertising, warranty agreements, pricing, and documentation fees. These regulations are closely monitored by the Motive Vehicle boards and state Attorneys General. So, to be successful in the industry, you need to familiarize yourself with these regulations off the bat. Are you ready to put the pedal to the metal and start your next business venture? Visit businessesforsale.com for a quick and easy way to explore car dealerships for sale in your area.